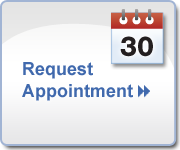 Here at Mill Creek Foot and Ankle Clinic, we want our patients to be able to get the services and information they need quickly and effectively. That’s why we have transitioned to a new website so that our patients and potential patients can find what they are looking for, and have access to the resources they need with the click of a mouse. In our Patient Education Section, we share informative articles on many foot and ankle related topics. We cover a wide variety of subjects including Foot Care, Fungus Problems, Types of Shoes, Foot Deformities, and Ankle Ailments. We see a lot of patients recovering from sports injuries, so we have many pages about the different types of sports and what kinds of injuries that are associated with them. In our Staff Section, patients and prospective patients can learn more about the doctors treating them. All of the professionals at Mill Creek Foot & Ankle Clinic pursue ongoing education to stay on top of the latest trends in podiatry, so they can serve our patients as effectively as possible. They also have the highest levels of accreditation. New Patients will find the forms they need to fill out before their first visit to our office in the New Patients Section, so their check-in process can be as smooth as possible. Furthermore, that page includes directions to our office, our mission statement, and information about what to expect when you visit. Directions can also be found on our Contact Page. We will be regularly updating our Blog Page with current information about foot, ankle, and heel issues and how to treat them and when it’s important to visit a podiatrist. For more information about Mill Creek Foot & Ankle Clinic and to schedule an appointment, please call (425)482-6663 today!